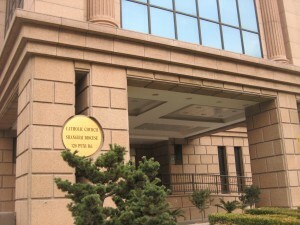 The sign on the front door of the Shanghai diocese building. There is a sign at the gate that says only clergy and staff can enter the building. Nevertheless, I got inside. The lobby is cold and dark. 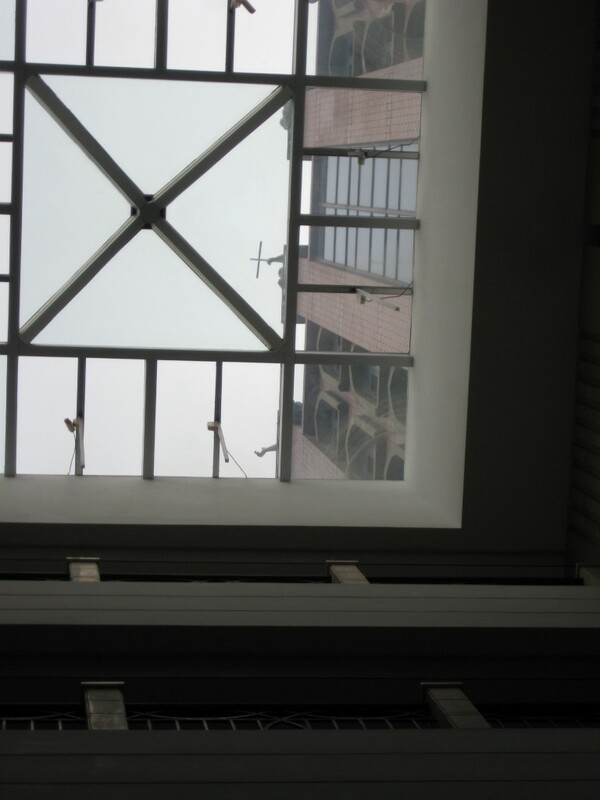 I can see the cross at the top of the building when looking up through the glass window. 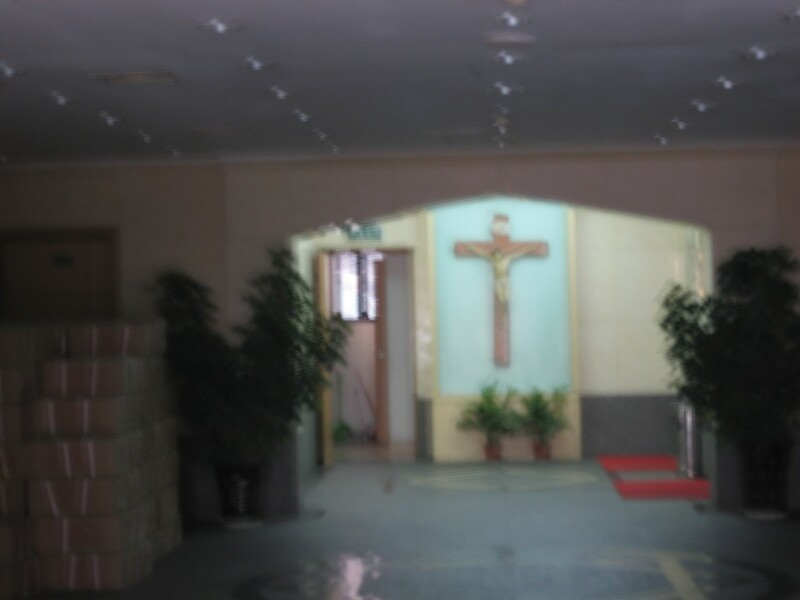 Right cross the hallway hangs another big cross on the wall. On the right is a receptionist room where an old man lives (looks like). He came out and questioned my presence. I asked if I can see a priest. He walked back into his room, where his lunch is waiting. As the old man puts it, it doesn’t seem that difficult to see a Chinese priest, as I had feared. 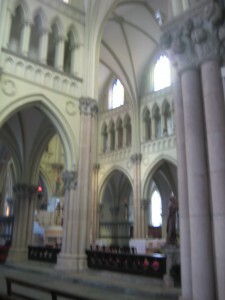 This is the cathedral (in a gray and polluted day). It is currently under construction and the iron gate is closed. We asked the doormen if we can go in. After confirming that we are Catholics, the doormen let us in. 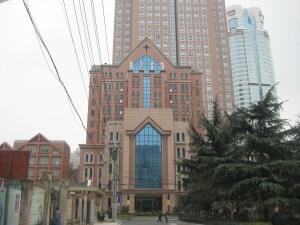 According to some websites, the church is closed to the public during weekdays (yes, closed!). 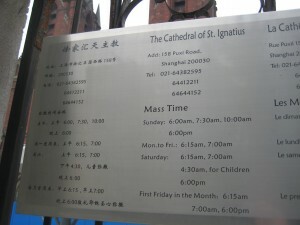 People can take tours with a guide during weekends and can attend masses in the morning. 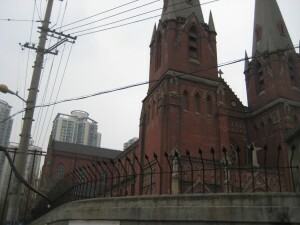 For whatever reason, the church is well guarded with iron fences. 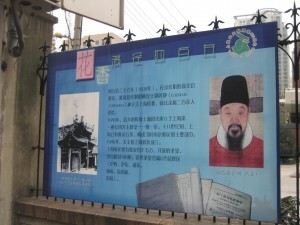 The man in the below picture is the first converted Chinese Catholic in Shanghai, a famous scientist during the 1700s called Xu Guangqi. 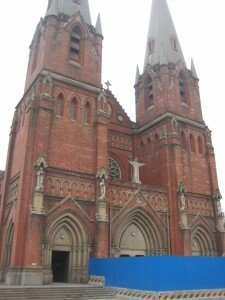 With his help, the first Catholic church was build in 1604, which later became the current Cathedral. The mass time at the cathedral. There is one at 4:30am! Inside the church (the doormen emphatically told us no photos inside – but for the purpose of informing the public, I wish he can forgive me). The inside feels old, dusty, cold and bare. There aren’t many paintings and rich decorations like in other Western churches (certainly incomparable to Italian churches). It is also empty with only a couple of people there. 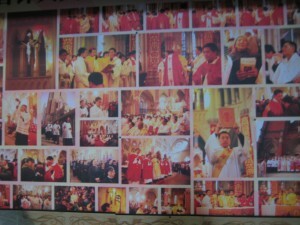 A bulletin board with photos of special ceremonies at the cathedral.